Whilst it might seem that a common HF dipole implementation is symmetric, the effects of nearby buildings, vegetation, structures, other antennas, soil homogeneity etc may all lead to less than ideal symmetry. 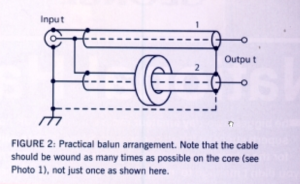 W9CF discusses this and measurement in more detail at Putting a Balun and a Tuner Together. Above is the schematic supplied by G3LNP. He describes the dashed link at the bottom as optional, but uses it in his prototype so this analysis is with that link installed. The prototype used equal lengths of coax (1m PF100, an RG-6/U like coax), and the toroidal choke appears to be 8t on a T130-2 powdered iron core. I will use RG-6/U characteristics, it is very similar to PF100. 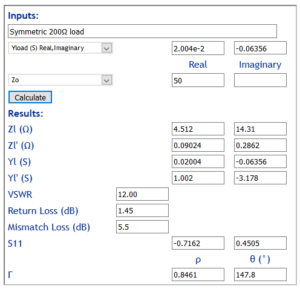 Admittance of the toroidal inductor 0.00-j0.0646S. Above, input VSWR is very high at 12. 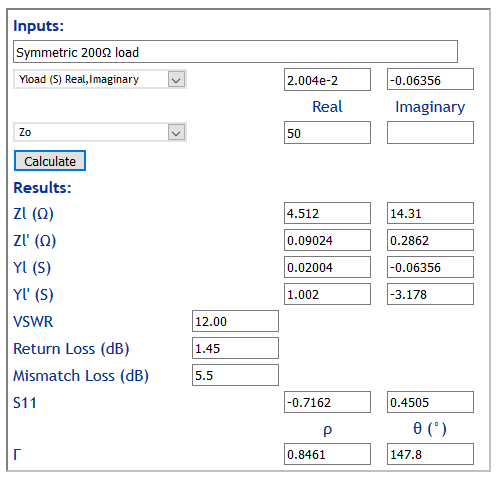 The device has high Insertion VSWR on its nominal symmetric load at 3.5MHz. The cause is the low magnetising impedance of the toroidal choke, it needs to be much higher. The design document is not very prescriptive of this component, but as can be seen, it is a critical component. 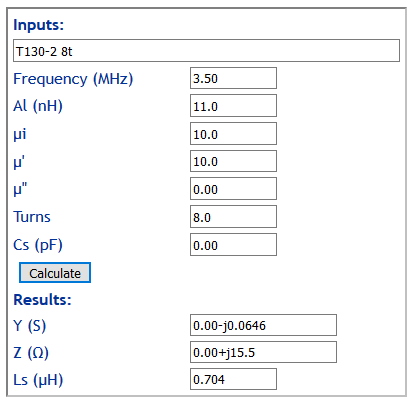 A suitable medium µ ferrite core could deliver the necessary impedance. A common half wave dipole is unlikely to be perfectly symmetric for many practical reasons. 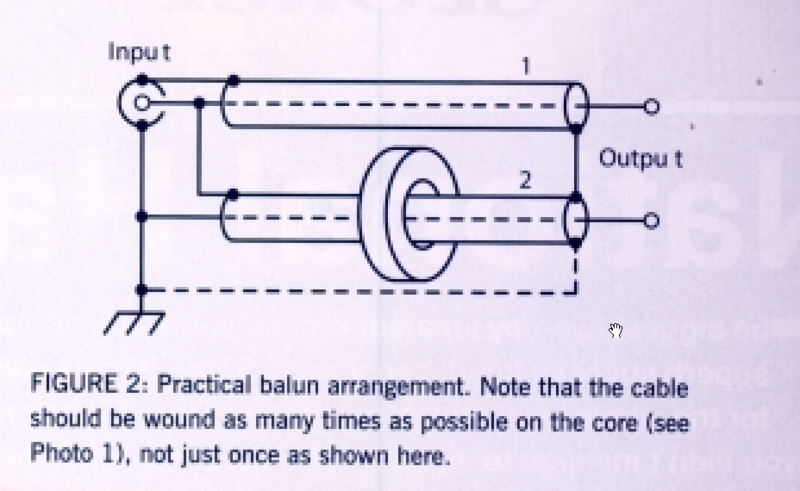 This balun implementation exhibits extreme Insertion VSWR on a perfectly symmetric ‘matched’ load at 3.5MHz. The failure is mostly due to low magnetising impedance of the toroidal choke, it needs to be much higher. 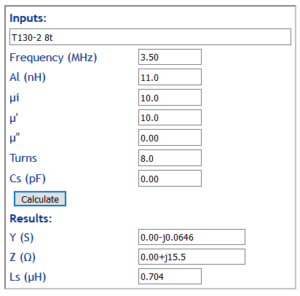 A suitable medium µ ferrite core could deliver the necessary impedance.